TJ-80 adopts roller heat transfer with servo motor and precise positioning. Table of multi-directional spinner Suitable for heat transfer or hot foil stamping on paper, plastic, electronic toys, leather, PVC,wood, etc. (1). PLC control, the operation is simple and convenient. (2). stage linear guide rail operation, printing quality. (3). stage cylinder drive, stable operation. (4). worktable transverse longitudinally adjustable, convenient loading and unloading die. (5). hot stamping head lifting adjustable. (6). head is adjustable for height, hot stamping of work pieces of different height. (7). 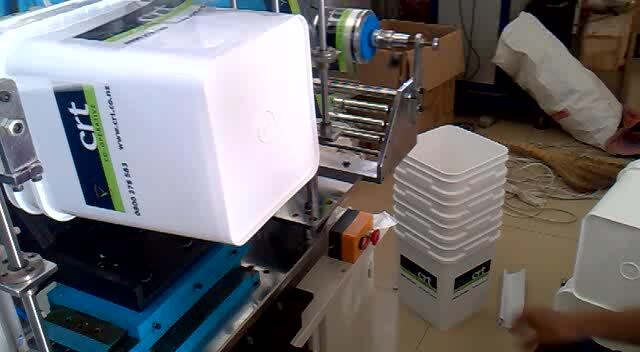 roller heat transfer printing, more conducive to large area thermo printing machine. (8). servo motor feed paper, paper photoelectric positioning and adjustable.